At the Xerox U.S. Agent Partners Conference in Las Vegas on February 21st, Southern Solutions was named the Xerox App Developer of the Year! Southern Solutions creates custom apps for Xerox multifunction printers and specializes in increasing inefficiency and improving workflows with the support process. Apps that Southern Solutions have created are installed on nearly 20,000 Xerox devices around the world. I am so proud of our creative & talented team who continue to amaze me in their development of new apps for Xerox devices! 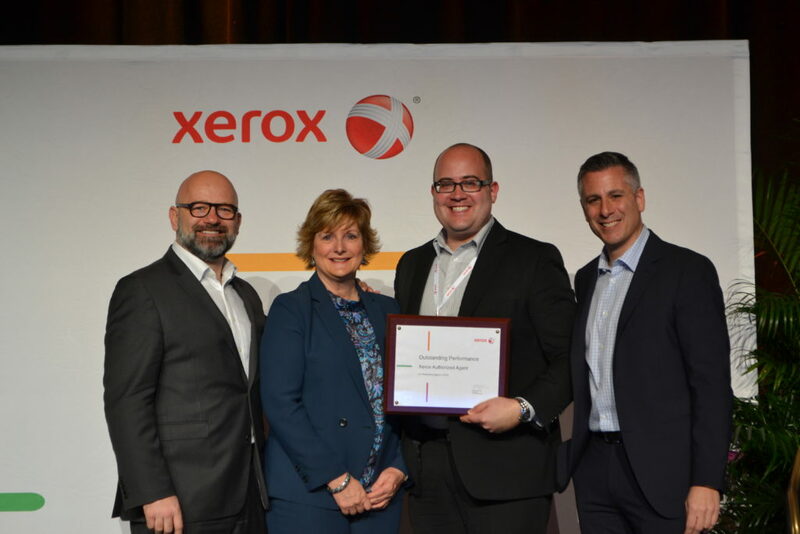 Southern Solutions, a Xerox partner provides managed print & managed IT services and became the first Xerox certified Personalized Application Builder Authorized Developer in the U.S. 2 years ago. Since that time, Southern Solutions has added 3 full time application developers and creates apps not just for their customers but for customers around the globe. Southern Solutions works with 170 Xerox Agent and Reseller partners in creating apps to use with their customers.